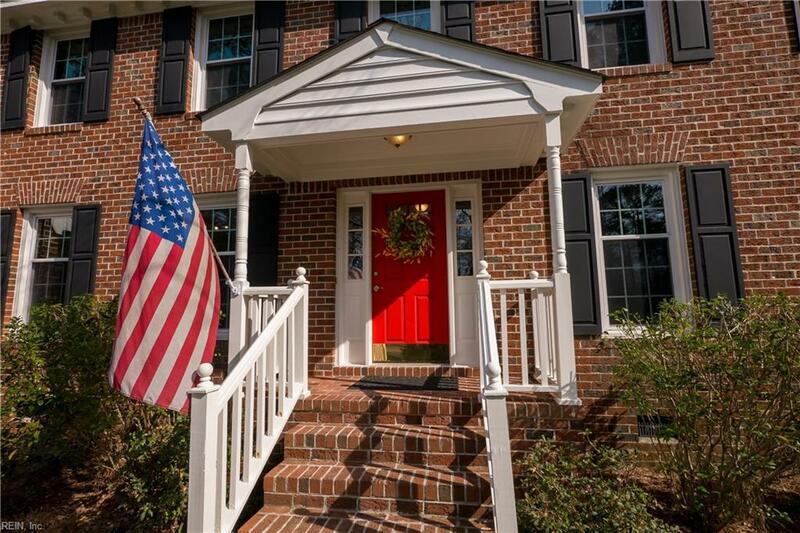 3308 Welwyn Muse, Virginia Beach, VA 23452 (#10249302) :: Abbitt Realty Co. 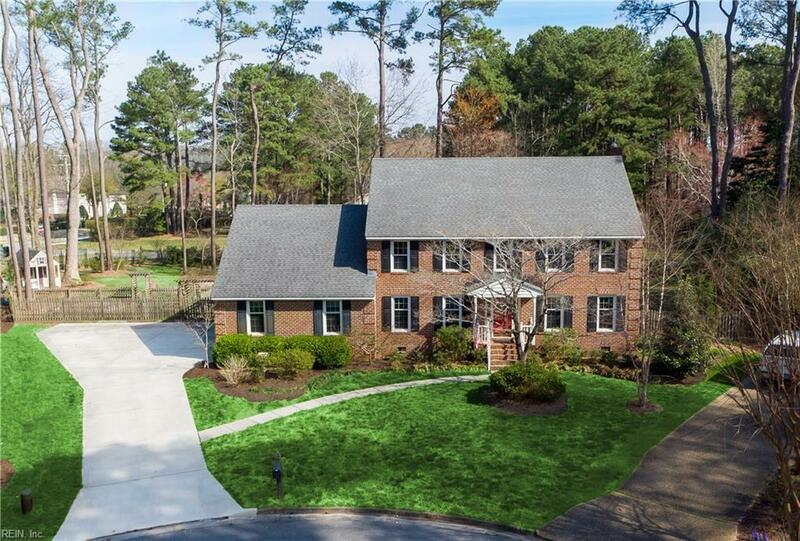 Absolutely magnificent 5 Bedroom, 3 Bath brick transitional in highly sought after Middle Plantation/Little Neck! 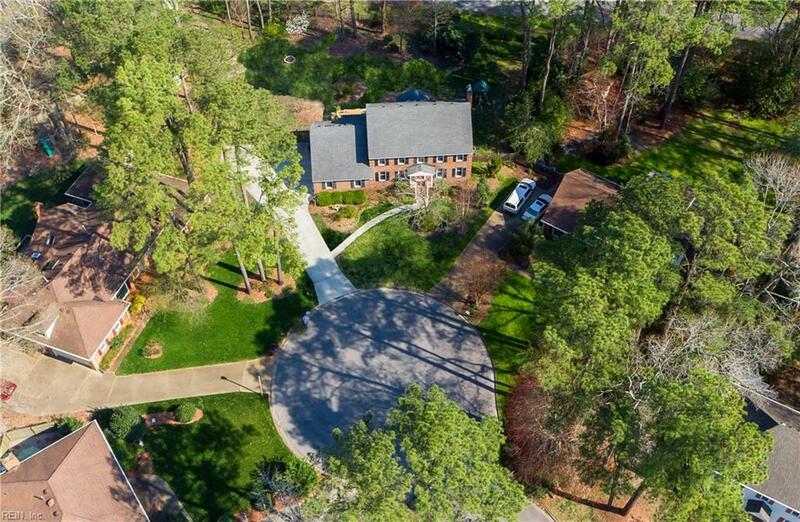 Excellent cul de sac location, peacefully situated on over 1/2 acre. Over 3537 sq.ft. of warm, welcoming, immaculate interior. 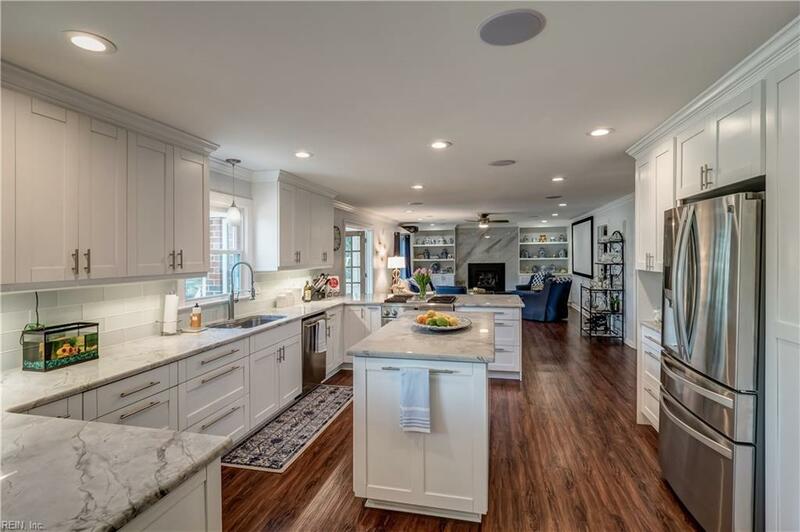 Exquisite kitchen offers timeless, custom cabinetry, stunning marble countertops, stylish back splash, and large center island. High end appliances featuring GE Monogram gas range and dishwasher, and Kenmore Elite 4 Door fridge. Tasteful finishes throughout. Open floor plan, gorgeous family room features custom built-in bookcases and gas fireplace with striking granite surround. Sensational master retreat offers spa like master bath featuring soaking tub and double shower with rainfall shower head. Large rooms throughout, excellent flowing floor plan. Fully fenced in, huge backyard with shed and playhouse. Raised garden beds ready for spring planting. Near bike path and Little Neck Swim and Racquet Club. Award winning Kingston Elementary. Must see!